This upgrade is our best selling upgrade for Angel Paintball Guns. 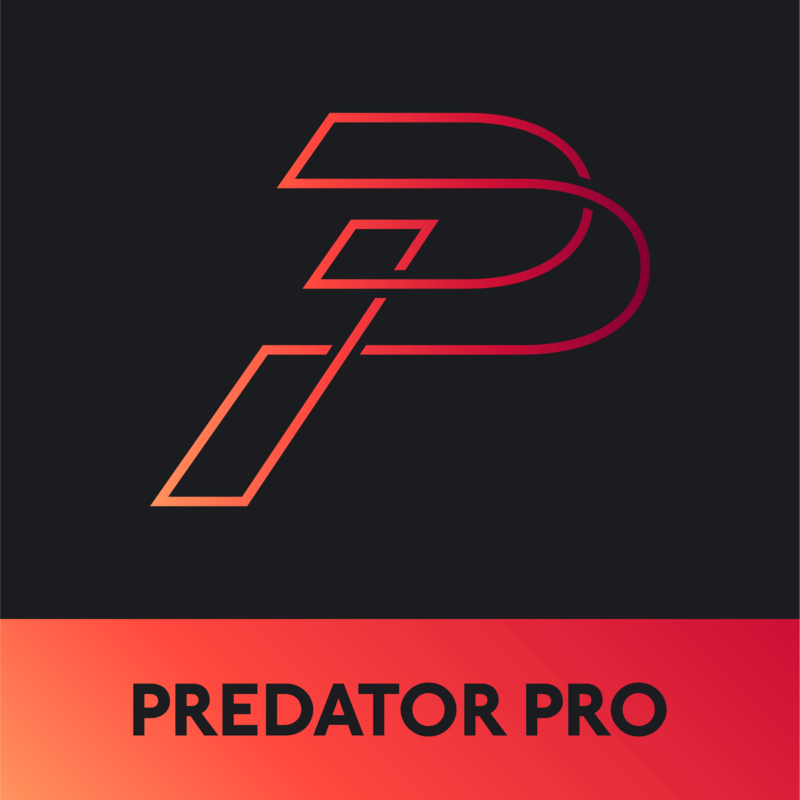 It was previously called our "Full Predator Upgrade." The end result is a marker which has all the character and style which is unique to Angels, with the technology and performance to put any modern gun to shame. We offer this service on every Angel ever built. Ranging from the original "LED" all the way through to the last model, the "SB". New board- Capitalizing on the build quality and speed of the Angel gun, while updating it with today’s latest technology. This upgrade will replace your circuit board with the brand new Predator 4.0 Angel board. On that board will be the 10.2 software, which includes 15 firing modes (Semi-auto, Full auto, several ramping modes, OMFG Mode, Sniper Mode etc. ), 17 adjustable parameters (including standard features like Rate of Fire and dwell, as well as Predator exclusives like Return Fire activation, Paint-saving Adaptive Firing, etc.) 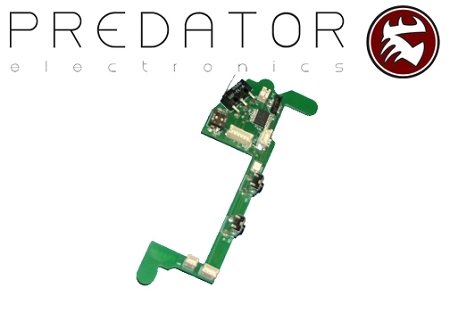 And perhaps the most significant feature of the Predator Pro Upgrade is the Predator Anti-Chop eyes. The eyes prevent the gun from "Chopping" paintballs during the extremely fast rates of fire that the Predator board is capable of. Predator Laser Eyes- LED Angels through the LCD models had no ball-sensing technology at all, we will give these guns the latest Laser Eye ball-sensing technology. IR3’s, original Speeds, and A4’s all used the “COPS” or “SENSI” system with never worked well, and restricts airflow. We remove these outdated systems and install the Laser Eyes. If you have an A4 Fly, or later gun, these came with ribbon eyes. You have the choice to use your current ribbon eyes, for a reduced price, or have us replace these fragile and very hard to find eye systems with our Predator Laser Eyes, which use an industry-standard DM-style wired eye. Our eyes are more durable, read paint better, and are much easier to replace. Ditch the Battery pack- The stock Angel Battery packs are heavy, difficult to replace, and completely die after a few years. So if you pull your gun out of the closet after a brief retirement, the battery pack probably needs replacement. This can be expensive. 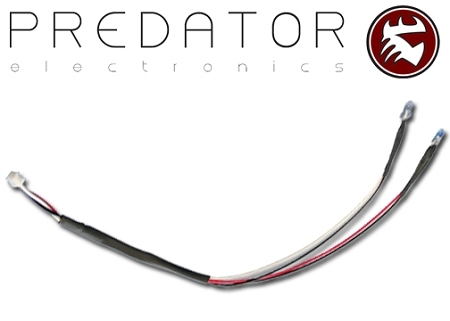 The Predator 4.0 board uses a regular 9-volt battery. So throw a 9-volt in the gun, keep an extra in your gear bag, and forget about it. You’ll never again miss out on a game because you forgot to charge your Angel for 4 hours. 2nd Detent- On the LED, LCD, and IR3 a second detent was not standard. This holds the ball in the breech off to the right side and causes a distinct “hook” in the Angel’s shot path. We drill, tap, and install a detent on the other side to balance that out and improve your accuracy. Tune-up- Your gun needs a good tune-up every once and a while. Also, your o-rings and seals can use replacing more often than just to fix a leak. 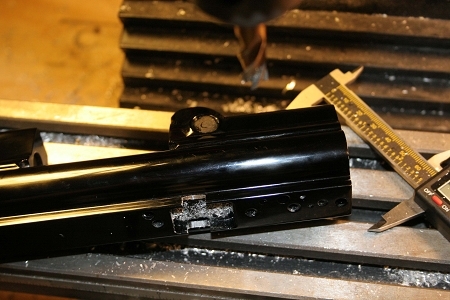 Since we have your gun apart anyway, we go ahead and do our famous "Make it Live" Service to it. You can read more about that HERE. 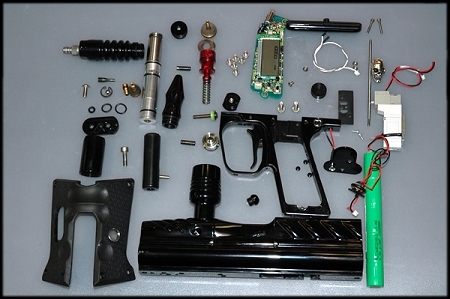 We will then re-assemble your gun with all the new components, and tune it up to shoot like it never has before. When we've completed the service, your Angel will shoot every bit as competitively as brand new guns, with an added vintage factor that new guns just simply cannot compete with. In our experience, these older Angels were built to handle far more than the technology of the time could really put out. With a little updating, and fine-tuning, your Angel will be shooting amongst the very best. 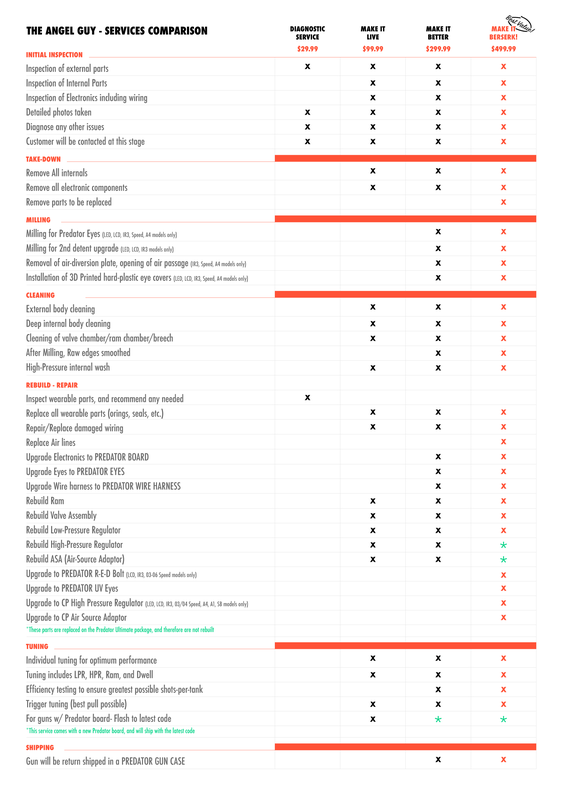 The basic cost of the Predator Pro Upgrade is $299.95 including all parts and labor. There are options to choose which may change this price slightly. Select your gun type from the drop down menu above, then add this service to your cart. Typical turn-around time varies with season, but ranges from 2 to 4 weeks. Call us for current turn-around times.